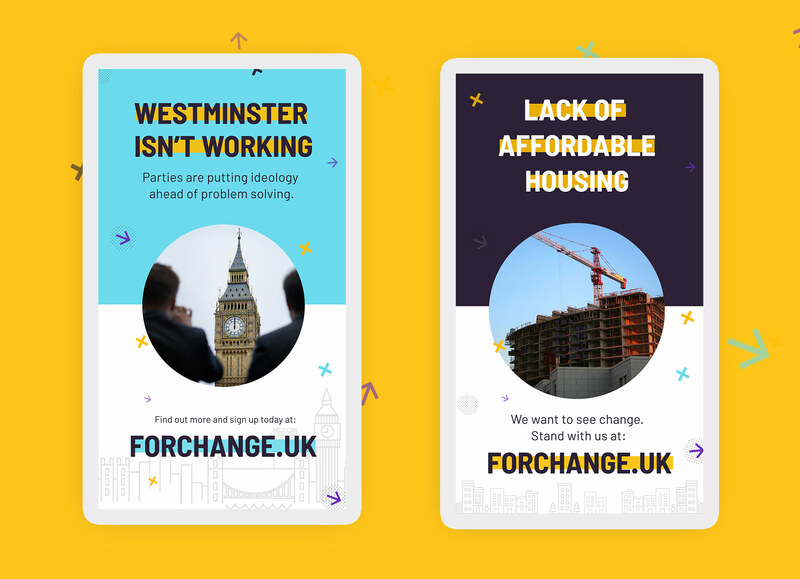 For Change are a Political Start-up aiming to use technology, crowd intelligence and practical problem solving to change partisan point-scoring politics. with practical problem solving. 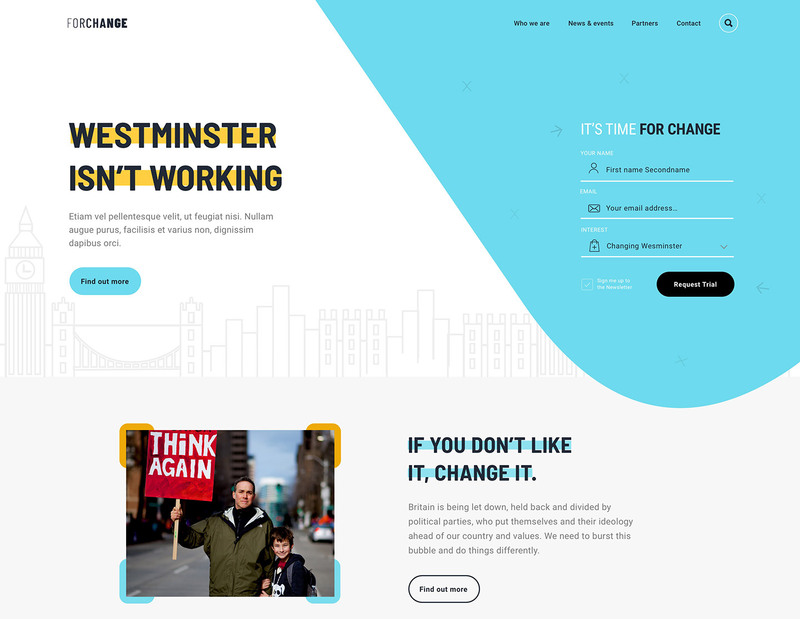 In the early stages, For Change asked me to conceive some initial brand concepts and design digital some assets that would help them communicate their vision and secure more support. For Change's vision had many different aspects to it, so the brand needed balance showing these aspects whilst giving them room to grow. It needed to strike balance between a radical approach with a love of traditional British values, and between rebellious and pragmatic thinking. Starting with mood-boarding, I explored several design directions to differentiate themselves from traditional Political Parties. The design direction we decided on used bright colours that conveyed positivity and change, whilst being minimal and allowing the brand to be flexible when communicating to different demographics. 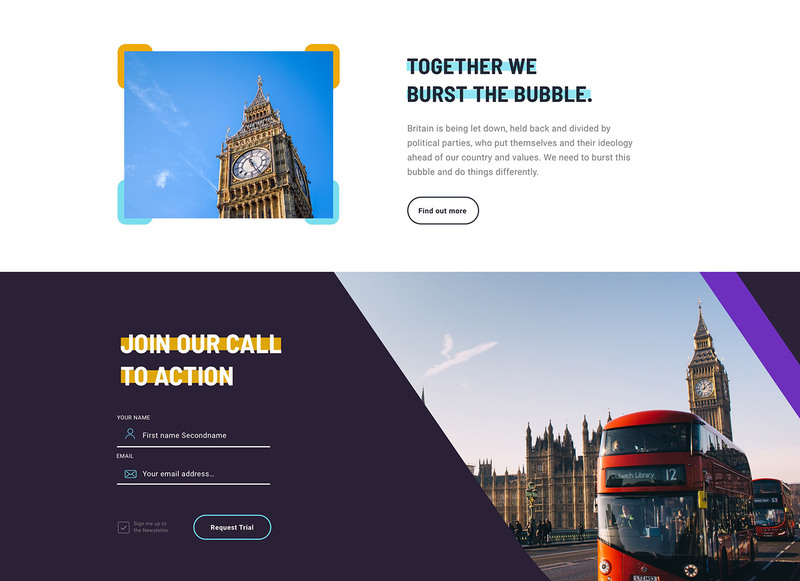 After creating an initial stylescape, I designed several large Digital screen ads to introduce For Change's vision to different audiences, which would be displayed in University halls and Shopping malls. I delivered a Powerpoint Pitch deck that helped For Change to communicate a wealth of different ideas to their potential supporters. 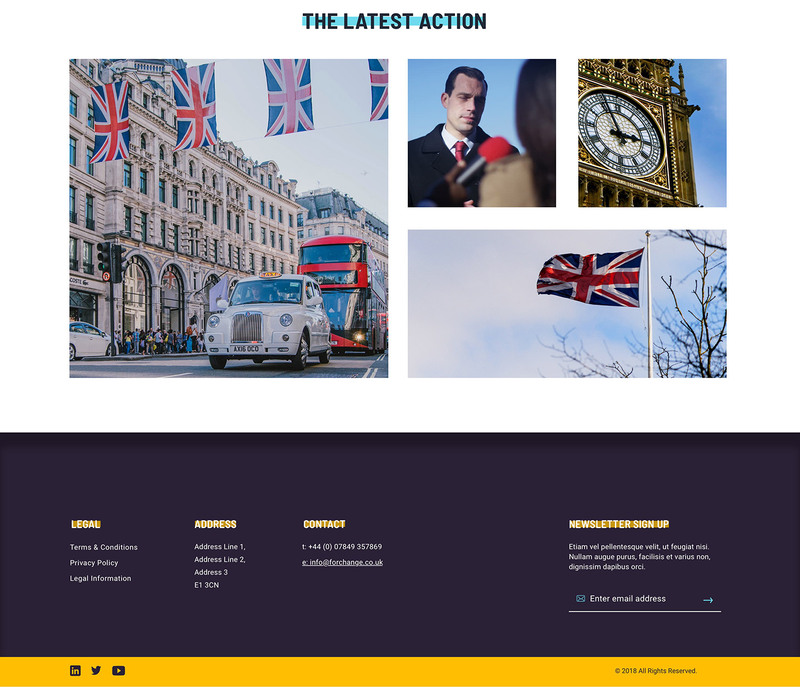 With slides for figures, quotes, photos, graphs and facts- the pitch made a complex and wordy manifesto more visual and easier to comprehend. 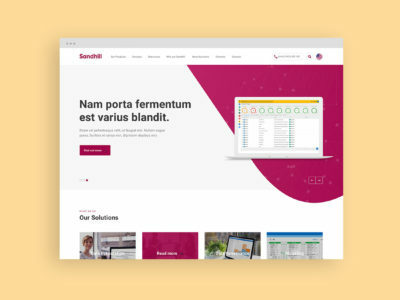 The Web design used fluid shapes to express the innovative change they wanted to bring about and illustrations and photos to support their values. 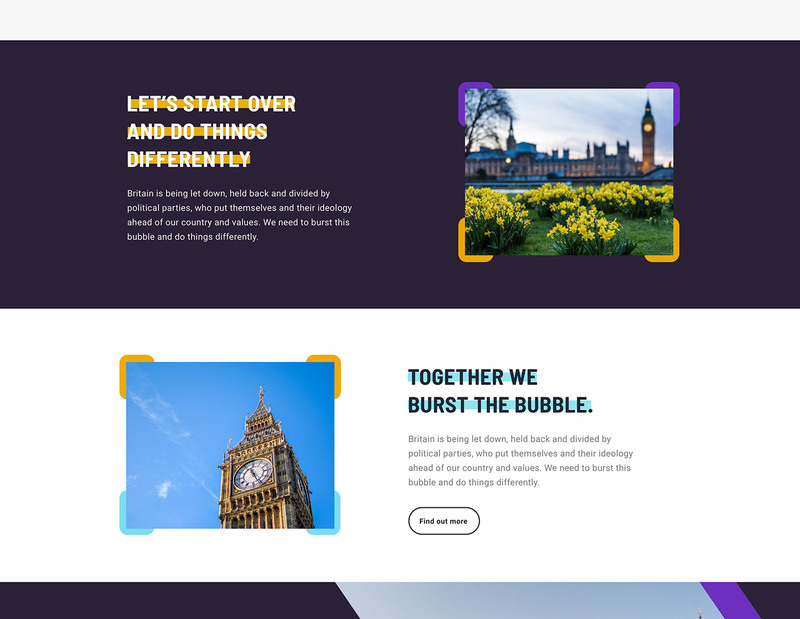 I used simple sans-serif headings to directly communicate their message, with several large forms at the top and bottom of the page to make sure nobody missed signing up.